San Diego News, Market Trends, Reviews and other great info! Please contact us if you would like us to review your resturant or business. We are happy to help educate and contribute to the San Diego community. Always keep Diego Homes in mind if your looking to Buy or Sell a home in the near future. Remember that you can search for every home for sale in San Diego. Enjoy our Blog! The neighborhood is beautiful and central to all the features that make San Diego great. It affords a great view of Mission Bay. Houses for sale in Bay Park have a median sales price in the mid-$400,000s. 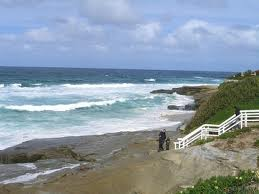 If you are a fan of the beach, Sunset Cliffs will interest you. This Point Loma neighborhood is bordered by the Pacific Ocean on the west and Ocean Beach on the north. 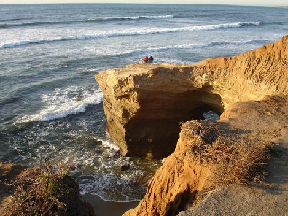 On the south is Sunset Cliffs Natural Park, a site of breathtakingly beautiful sheer cliffs overlooking some favorite ocean surfing spots. The residential strip in Sunset Cliffs runs along Sunset Cliffs Boulevard. Many of the houses along the contoured streets are custom homes. There is also a small commercial strip at the northern end. With the median sale price for homes approaching $1 million and average listings at $1.33 million, you don’t often associate Sunset Cliffs with San Diego real estate bargains. 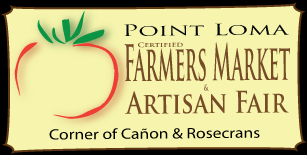 The Point Loma Certified Farmers Market is located in Point Loma Village, the commercial center of Point Loma. This is a small jewel of famers market, offering very high quality fair in a compact, two-block space. The market offers the usual array of fresh produce and flowers, plus the work of local artisans. A nice feature of the CSA program is that $5 of the setup fee goes to an Emergency Fund for Farmers who are in need. Various reasons can cause a farmer to lose a crop – the Fund helps them get through the loss and start their next crop. Not allowed: non-Californian produce, religious groups, for-profit health screeners, pyramid scheme marketers, partisan groups, aggressive hawkers and agents dealing in real estate, insurance, finance or entertainment. Entertainment vendors (clowns, balloon artists, animal rides, etc.) can work the Market for free. On a monthly basis, the Market will hire and pay local musicians after they pass an audition. The last three are gated communities with prices starting around $400,000. Many young, upwardly mobile families call Mira Mesa home, due to excellent schools, affordable homes, proximity to the finest California beaches and many employment opportunities. The population tops 80,000 residents, having a median age of 32 and a median household income of about $63,000. A significant slice of the population of Mira Mesa is Asian-American. This creates wonderful shopping and dining opportunities by Vietnamese, Indian and Filipino venues. Mira Mesa public schools are administered by the San Diego Unified School District. In addition, Miramar Community College is nearby, occupying 120 acres and having an enrollment of over 22,000 undergraduates. Mira Mesa Street Fair – Sponsored by the city council, the annual fair occurs in late September. Features a carnival, local crafts, children’s entertainment, international food and Boy Scout recruiting. Independence Day Parade – Follows a route down Mira Mesa Boulevard and Camino Ruiz. Culminates with a fireworks display at Mira Mesa High School. Halloween – Monster Manor at the Target parking lot. Philippine Independence Day Festival – Music, dance, food and culture are highlighted in a day-long celebration at Mira Mesa Community Park. Mira Mesa Bike Nights: Every Thursday evening during the warm months, motorcyclists and families gather to celebrate the joys of riding. Epicentre Weekly Concert Series: Weekly concerts at the Epicentre Teen Center attract the younger crowd. Los Penasquitos Canyon Preserve – A seven-mile urban park encompassing the Lopez and Penasquitos canyons. Home to over 175 species of birds and 500 different plants. Rancho Santa Maria de Los Penasquitos is a restored adobe home dating back from 1820. Hourglass Field – Once a Navy landing field, the field became a favorite unauthorized drag racing site. It is now a community park. 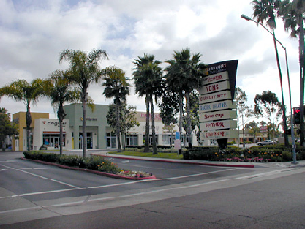 Two Shopping Centers – The Mira Mesa Shopping Center and the Clairemont Town Square Shopping Center serve the greater community with shops and restaurants of all descriptions. 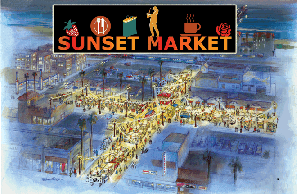 Oceanside Sunset Market features 130 booths with the freshest produce, brought to you by certified local farmers. A certified farmer is one who has registered with the county to sell food directly to the public. In addition to fruit, vegetables, honey, baked goods and flowers, visitors are treated to free entertainment on the Main Stage, educational demonstrations and a children’s play area. The market occupies four blocks and its Arts and Crafts Fair makes it easy for you to acquire handcrafted ornaments, body attire, home décor items, jewelry and many other delightful wares, presented by over 100 juried vendors. Hungry? No problem – check out the vendors bringing you delicious hot and cold foods at the International Food Court. If you want to purchase prepackaged gourmet items, stroll along Fresh and Ready Row on Tremont Street for the finest artisanal food. Everything from fresh breads to fresh-frozen salmon is available. All vendors must obtain a California Seller’s Permit. Vendors whose businesses are located in Oceanside must obtain a city business license before participating in the Sunset Market. If you handle food, you must obtain both a temporary food facility permit and a valid food handler card (you can take a course or a test to qualify for this certification). The community of Linda Vista lies to its south, and access is afforded via I805, I5 and SR52. The area is known for its convenient proximity to the San Diego airport, golfing and a water park. Two canyons, the San Clemente and the Tecolote, are located in Clairemont and, thanks to community action, have been designated as parkland. The area also contains a number of finger canyons with streams and trails. Original housing developments date back to the 1950s and 1960s, supplemented with many newer homes. Many of the original homes were built on mesas that sit above several major canyon systems. Most residential housing consists of single-family homes and condos. Access to commercial centers is very convenient, thanks to thoroughfares like Clairemont Drive, Clairemont Mesa Boulevard, Balboa Avenue and Genesee Avenue. Balboa Avenue was redeveloped in 2006 with landscaped medians, cobble paving, bicycle lanes, irrigation systems, public artwork and other improvements. 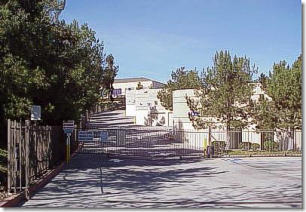 In addition, San Diego Mesa College is a two-year community college, the largest one in San Diego. Mission Bay Park: the largest constructed aquatic park in the U.S., Mission Bay Park has over 4,235 acres divided roughly evenly between land and water. Favorite activities include sailing, yachting, kite flying, hiking, jogging, volleyball, picnicking, bird watching, dog walking and fishing. There is a youth campground on Fiesta Island – camping requires a permit. There are 27 miles of shoreline available for family fun. San Diego Sea World: Dozens of attractions and events for the whole family. Tecolote Canyon Golf Course: An 18-hole executive golf course featuring challenging tee shots, elevation changes and undulating, small greens. Just about every hole has a hazard to test the skills of even the best golfers. Clairemont Village Shopping Center: One of several large shopping centers that have been redeveloped and expanded to provide a huge variety of shopping and dining opportunities. The Food Court is a place to sit and enjoy all the activity surrounding the Open Aire Market. You can also order food to take home, prolonging the pleasurable experience. Vendors provide a rich variety of cuisines from all around the globe, suited to every appetite. You can find everything from decadent sweets to heart-healthy crepes, Vietnamese chicken dishes, Mexican food, BBQ, kettle corn, waffles and plenty of fresh fruit and vegetables. Over 40 food vendors attend to your every whim. The Open Aire Market is proud of its fine Certified Farmers Market vendors. These are farmers certified by their counties to sell their produce directly to the public. The vendors’ ranks are full of growers who operate small family farms. Their reputation for high quality and value is second to none. There is nothing more important to the Market’s organizers than supporting local farmers and making sure attendees have access to the freshest fruits and vegetables. The La Jolla Open Aire Market features artisans with remarkable skills. You can select among many unique items, including artwork, French linens, handmade jewelry, clothing, hats, glassware, antiques, rugs, pottery and a whole lot more. 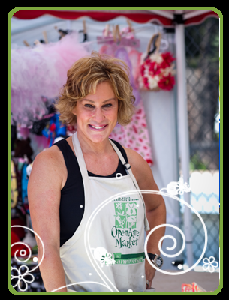 School mom Sherry Ahern started the La Jolla Open Aire Market in 1998 on the grounds of the La Jolla Elementary School. Originally conceived as a way to raise funds for a school library, the initial market hosted only 14 farmers and one artisan. Before long, word got out and the number of vendors grew – there are now over 100 vendors who regularly appear every Sunday morning. Besides the library and librarian, the Market has been able to fund art, technology, music, a nurse, additional teachers, supplies and smaller class sizes. The Jewel City of La Jolla is one of the most desirable and exclusive communities in the country. It offers spectacular views of the Pacific Coast, with many large and attractive homes. Just 12 miles from downtown San Diego, visiting La Jolla is like entering a magical kingdom where only the best of the best is allowed. Whether you want world-class golfing, top schools or the finest upscale shopping, residing in La Jolla is truly San Diego real estate at its most luxurious. The unincorporated community of Fallbrook is located in northern San Diego County, just east of the U.S. Marine Corp’s Camp Pendleton. It is known as “The Friendly Village” and also as the “Avocado Capital of the World”. Known for its majestic avocado groves and popular farmers market, Fallbrook has attracted over 30,000 residents within its 17.6 square mile area. The climate is breezy and relatively dry, with temperatures rarely exceeding 90 degrees in the summer; the winters are frost-free. The climate is ideal for growing not only avocados, but also strawberries, tomatoes, and many other fruits, flowers and vegetables. Fallbrook real estate is mostly single family homes and condos. The average price per square foot is $166, and the median sales price hovers around $316,000. The community is family- oriented and is unusually devoted to farm life. There are over 60 plant nurseries in the Fallbrook area. The annual Fallbrook Avocado Festival takes place in April and draws very large crowds. It features a farmers market, arts & crafts, local food and refreshments, live entertainment and guacamole contests. The Christmas Parade will be celebrating its 30th anniversary in 2012. The Emerald Forest Bird Gardens attracts bird lovers who want a close look at their fine feathered friends, including rare toucans. Visitors can watch bird breed and raise their young. If you fall in love with a particular specimen, the gardens will sell it to you (for the right price). The Blue Heron Gallery features the work of several artists specializing in paintings, photography, silver jewelry and pottery, among others. Each year, eight to ten formal shows are mounted. The Fallbrook Historical Society arranges tours of the community’s historic buildings. It runs a museum in a large, one-room house that features a large model of the town as it was over a century ago, including the original train tracks. The Gem & Mineral Society is for devotees of minerals, fossils and earth sciences. The society sponsors events throughout the year and hosts an online store. The Fallbrook Music Society is a volunteer group that provides live concerts all year long. This includes a series that features soloists and also a symphonic series. The society is heavily involved in music education within the local school districts. The climate has been described as “arid Mediterranean” because of its different microclimates. 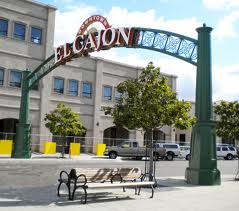 The100,000 residents of El Cajon represents a rich mix of different cultures, including Hispanic, Iraqi and Lebanese. If you are looking for affordable San Diego homes for sale, El Cajon is an excellent choice, with a median home sales price of about $280,000. The many amenities featured in the El Cajon community include the 24-hour Sycuan Casino, which offers a full range of gaming and entertainment activities. El Cajon celebrates its 100th year as the “Valley of Opportunity” with a celebration slated for November 2012. The theme is to remember the city’s rich past while it looks forward to its remarkable future potential for people from all walks of life. Taylor Guitar Factory: You can tour the factory of this leading manufacturer of acoustic and electric guitars. The tour lasts one hour 15 minutes and is free. You can buy a guitar or parts at the factory, and there is a general gift shop. Boomers: A fun place for the whole family, Boomers provides games, parties (including birthday and corporate) and a venue for team building. Attractions include batting cages, miniature golf, go karts, bumper boats and a climbing wall. Willow Glen Golf Course: Part of the Singing Hills Country Club, the course features 72 holes measuring 6,600 yards. The Sweetwater River comes into play on a number of holes, amping up the excitement for adventurous golfers. Restaurants: The five top-rated restaurants are Izzy’s Café, Ali Baba Restaurant, Por Favor Mexican, Antonelli’s Deli and Black Angus Steakhouse. 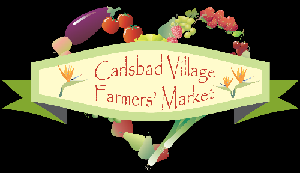 Nestled in the fabulous suburban community of Carlsbad, just 35 north of downtown San Diego, is the Carlsbad Village Farmers Market. The Market is certified, meaning that all vendors are local and have registered with the counties in which they operate. Known far and wide for its tasty foods and fresh produce, shoppers can select among conventional, heirloom and organic products. A family can enjoy hours of shopping and exploring new items, such as delicious cherimoya fruit, famous as “the most delicious fruit known to men." Fruits – Local avocados, strawberries, apples, oranges, cherries, blueberries and melons. Vegetables – Unusual squashes, heirloom tomatoes, fresh greens and herbs. Foods – Homemade and imported items, including salsa, cheese, popcorn, granola, olives and olive oil, fresh-squeezed juices, Mexican dishes, bakery items and fresh eggs. Plants – Live planters and cut flowers. Helpful growing tips and classes. Crafts – Hand-designed crafts created by local artists. You can find jewelry, stained glass, sea shell crafts, natural skin products and handcrafted fashions. The Carlsbad Village Farmers Market was launched in 1994 by the Carlsbad Village Association, which runs a number of events throughout the year. Initially, the Market ran only on Wednesdays; Saturday operation began in 2004. The Wednesday and Saturday markets share about 50 percent of their vendors with each other, the other 50 percent are unique to the day. The Association also sponsors an annual Art in the Village Fair featuring local artists and artisans. The Association dates back to the 1970s, and was originally known as the Carlsbad Merchants Association. It is very active in developing strategies to revitalize the commercial district of Carlsbad.